No doubt, Google, Facebook and Twitter are three of most frequently used network services nowadays. Can you imagine what the three giants would have looked like if they were invented in the 80s? The following videos may be able to give you a reasonable answer. The three short videos were produced by Squirrel-Monkey. 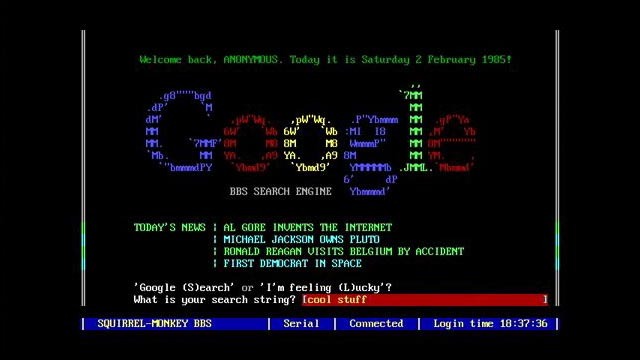 Each video is based on a popular network service including Google, Twitter and Facebook, and according to the limited understanding of graphical user interface in the 80s, the producer shows us three unique retro styles for Google, Facebook and Twitter, but we doubt whether the old-school interfaces could catch users’ eyes during the 80s. After the break, check out the interesting videos.